With the Glorious PC Gaming Race mouse pads, the user has full control over what is happening on the screen, whether working or playing. 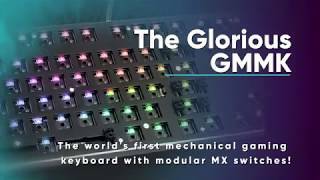 The Glorious XL gaming mouse pad convinces with its impeccable quality and with its generous space it is suitable for players of FPSs and MOBAs , who need a lot of space for their mouse movements and appreciate a high quality mouse pad. The Stealth Edition offered here has been provided with an almost invisible black logo. The hemmed edge prevents fraying. With its anti-slip coating on the back, the extra-thick, five-millimeter-high gaming mouse pad is the ideal complement for demanding PC users for their gaming setups. More links for "Stealth Gaming Surface - XL Heavy (G-HXL-STEALTH)"